Went for seated tickets cos it's an arena and I won't be queuing. But YAAAAAAAAAAAAYYYY MANICS! Got my ticket. I'll be seeing Plan B that week as well so it's going to a big one! Went for standing as I prefer it, plus I have no interest in seeing The Coral so I won't need to queue, and arena gigs are never as packed as smaller venues so it's easier to come in later and still get a decent spot. How much was it for a standing ticket (inc charges)? I will be there in seating as I'm an old man now lacking the desire to queue! Can't wait till next year! For 2 standing tickets for Newcastle it cost me £88.65 in total. I assume Manchester will be around the same cost. Couldn't be more relaxed about this gig. Missed em last couple of times they were at the Arena, decided to go to Newcastle and Glasgow instead when I was living in Hull. Never expected I'd get to see em there. I mean, the last five times I've seen em in Manchester have total capacity of half the arena.. It's a big one. If I recall, the last show at the arena (admittedly in 04) had the top tier closed. Enter Shikari played their first arena show with the top tiers shut and the stands half full, so anything is possible. I'd say the Manics should have no issues filling the floor. And they're about to hit 20 years since their commercial peak so there might be something around that (some Truth stuff maybe) that shifts more tickets. Just booked this. 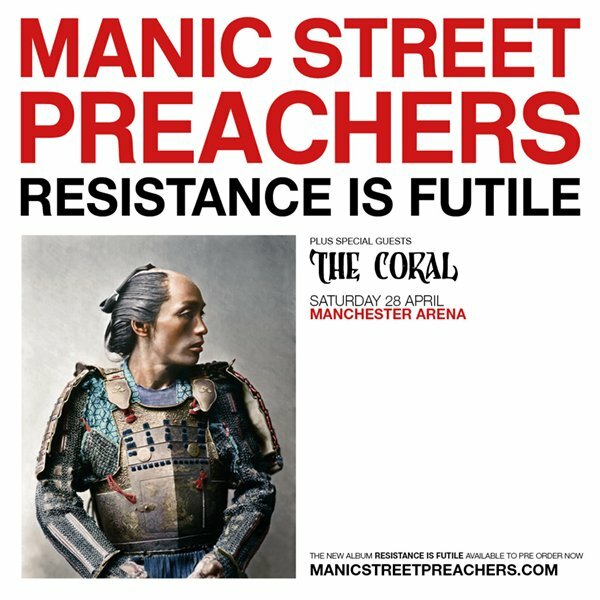 I'm really excited to be going to this one, it'll be almost 21 years since I saw the Manics there when it was the Nynex, supported by Mansun, one of the best gigs I've ever been to! edit: maybe I should have looked at hotels first, bloody hell they're expensive! Last edited by blackflower; 24-11-2017 at 09:18. The Belgians will be there. First time Manchester!